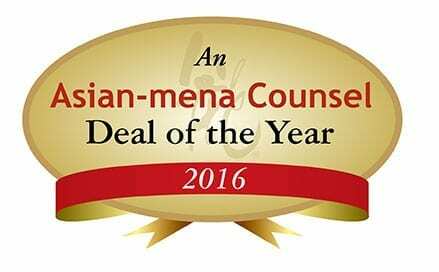 We are delighted to announce that Kaisa Group’s debt restructuring wins Deal of the Year in Asian-mena Counsel’s 2016 rankings. Tanner De Witt was Lead Counsel to Kaisa Group Holdings. Kaisa became the first Chinese real estate developer to default on US dollar bonds after the downturn in the property sector and a sales freeze on its units in Shenzhen during an investigation. The landmark transaction, which involved borrowings of HK$82 billion (US$10.5bn), set an important model for similar cross-border restructurings in the future. The company’s restructuring efforts were challenging both as a matter of commercial negotiation and from a legal perspective as there was limited precedent in Hong Kong for many of the legal issues faced. There is an obvious tension between the offshore and onshore creditors, with the onshore creditors having taken actions against Kaisa subsidiaries in China to protect their positions while the offshore creditors are structurally subordinated. The deal also has a strong political overlay. Allowing the collapse of Kaisa will possibly lead to systemic contagion in the Chinese property sector, a tightening of liquidity and a concern by offshore creditors that the investment structures and their position, being structurally subordinated, places them at a serious disadvantage to onshore creditors. The realisation of this, absent a favourable restructuring, could lead to diminished investment capital for such developers. For more information see article: Tanner De Witt instructed on groundbreaking restructuring case: Kaisa Group Holdings Limited. The deal description was first published in Volume 14 Issue 8, 2017 of Asian-mena Counsel and reproduced with permission.